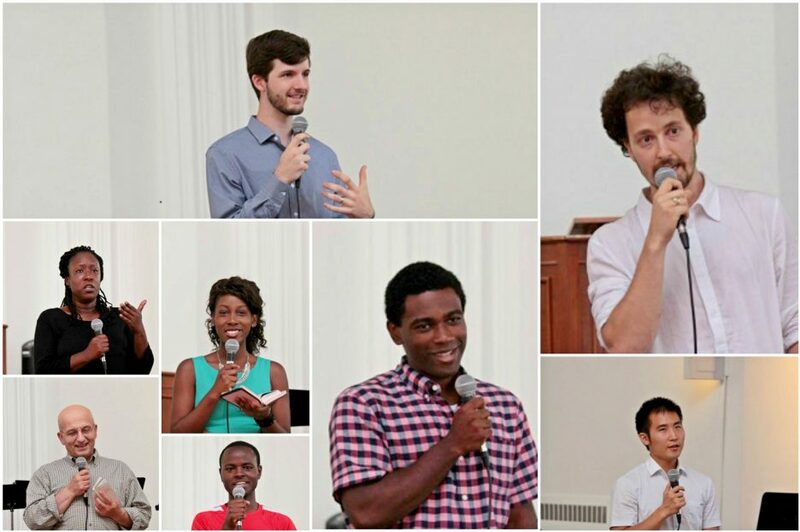 On the last day of the 2016 Northeast Summer Retreat, members gathered together after the closing service and engaged in a time of sharing through testimonies of the grace they had received during the lectures and events. In total, ten members came forward to express how their hearts were impacted from the messages about the Kingdom of Heaven. One member from Dover expressed how he had again come to understand the deep love of the Father and how his identity was founded in the undeniable truth that he is loved by God. Throughout the retreat, he constantly questioned God about the current state of his spiritual situation. In response, he explained that God had responded with question in kind, “Why do you not look to me? Why do you not seek me?” He felt as though he again could focus on God firmly through this time. Donna Thompson from New Haven shared how the church both locally and regionally through this gathering had shown so much love to her, defying the expectations that she had formed through the period of her adult life. She encouraged the other members to continue this standard of treating others with the love of Christ, as she firmly appreciated it. Zhongping, a sister from Boston, shared the immense grace that she had received and encouraged others who may feel hopeless in their times of difficulty, that Christ was there to give hope through the cross. She felt as though her life had completely changed through knowing the gospel of Christ. Kenneth, who had previously attended the retreat four years ago, expressed his thankfulness at being able to attend once again. He quoted several scriptures that identified the grace that he had received during the messages. Talal from Maine communicated his firm belief in the power of the gospel to change people. Through his missionary work in Maine, he reported how the love of Christ was being shown through his working together with migrants from Arabic countries who were showing him the wonderful love, and he was thankful for the similar love he had received during the retreat. Jessyna from Montreal also shared about how she was so inspired by the unique love of the church in Montreal. Despite being in ministry and in the church for a majority of her life, she was touched by the pure and deep love of the minister there, and found that it was truly the place for her to attend and grow in her faith. Yoon from Jubilee shared his gratitude at being able to serve for the worship services, citing God as the provider of his talents despite his lack of a musical education or background. He hopes that Christ will continue to shine through his playing and serving in the church continuously. Finally, Vincent from NY Immanuel shared his life saving testimony that he would not be alive if it were not for the change in his life through the gospel of Jesus Christ. He encouraged everyone in the room to always share the grace they had received as it would save many more lives in the future, and that it was their responsibility to share it with as many as possible. During this time of sharing, many were uplifted through the graceful testimonies and reflections that were delivered and expressed from church members. Please pray that their hearts would be continually inspired by the love of Christ.